At the 90th session of the Committee on the Elimination of Racial Discrimination (CERD) , Sri Lanka’s efforts to eradicate racism and racial discrimination will be reviewed after 15 years. On this occasion, IMADR Asia Committee made submission to the CERD with a special focus on the discriminatory situation of Tamils of Indian origin, also known as Up-Country Tamils or plantation Tamils, as well as the oppressive environment for the freedom of religion. 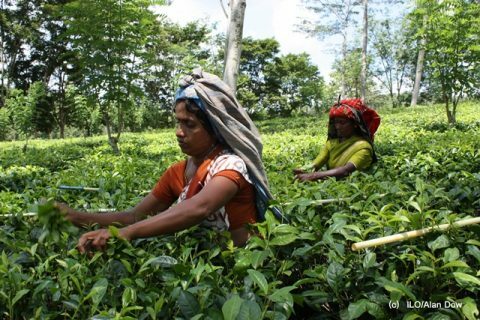 The situation of plantation Tamils has not much improved, and they continue to face difficulties to enjoy their civil, political, economic and social rights. This is represented in a higher level of poverty, poor living conditions, low-quality education and health services, lack of access to social and public services as well as oppressive State measures. The attacks against the freedom of religion have been widespread in which Bodu Bala Sena (BBS), a hard-line Buddhist group, is often involved. Incidents of violence against Muslim, Hindu and Christian minority communities from 2013 to 2014 were documented. Many of those cases have not been prosecuted and perpetrators have not been held accountable. The report also addresses the issue of internally displaced people (IDPs), land seizure, Prevention of Terrorism Act (PTA), enforced and involuntary disappearances and indigenous Wanniyalatto people. Full report is available here.